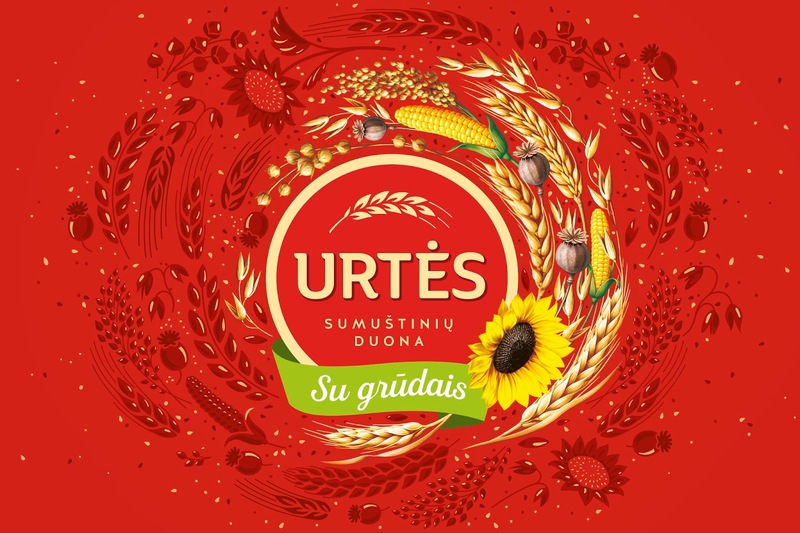 Urtės is one of the main brands of Vilniaus Duona. 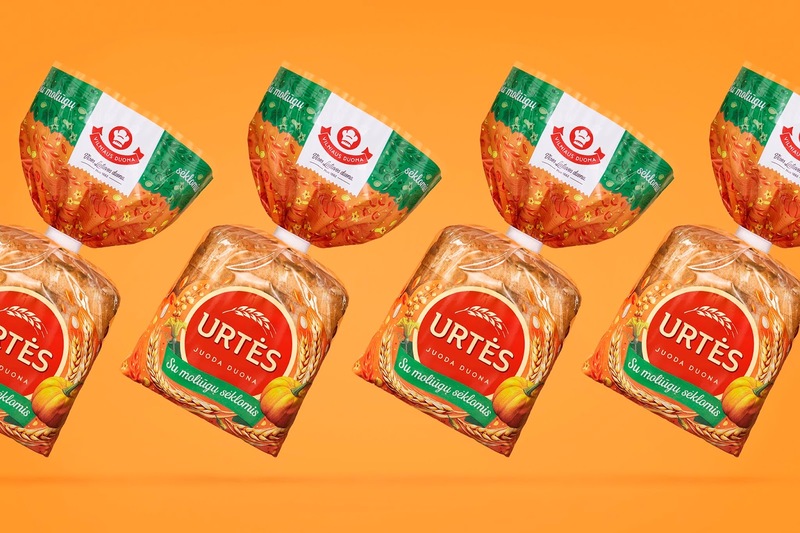 The standout feature of all products of the Urtės family is a broad variety of seeds and grains. 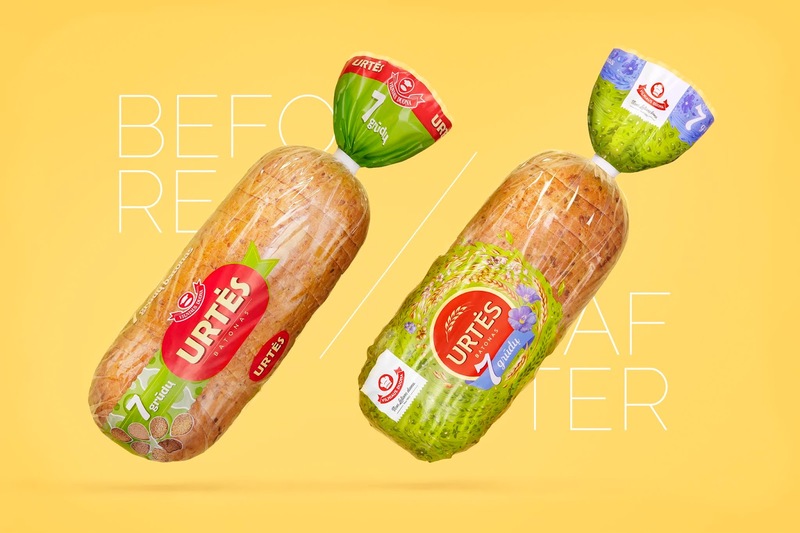 Getting more and more new products of that family into the market resulted in the design of the brand becoming inconsistent, chaotic and outdated. 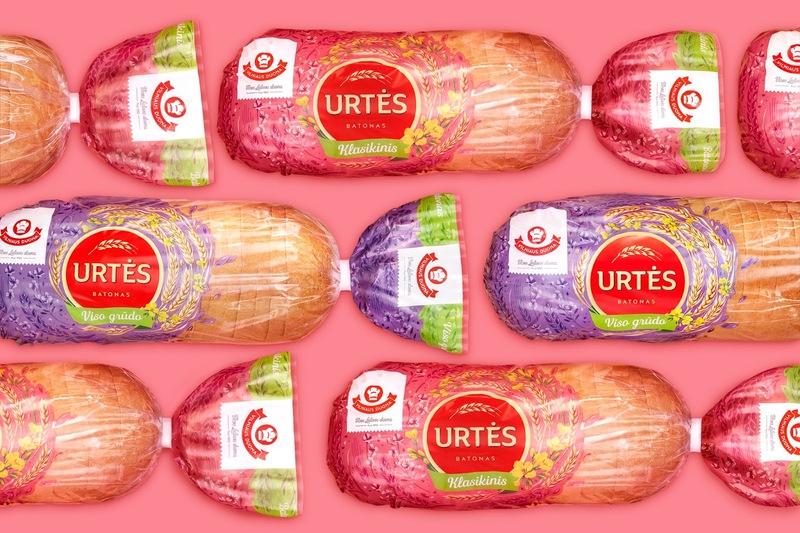 The task was to renew the brand and packaging of the Urtės family, at the same time maintaining the recognisability of the whole brand. The new design had to link all the products of the family together and make them more attractive and visible. 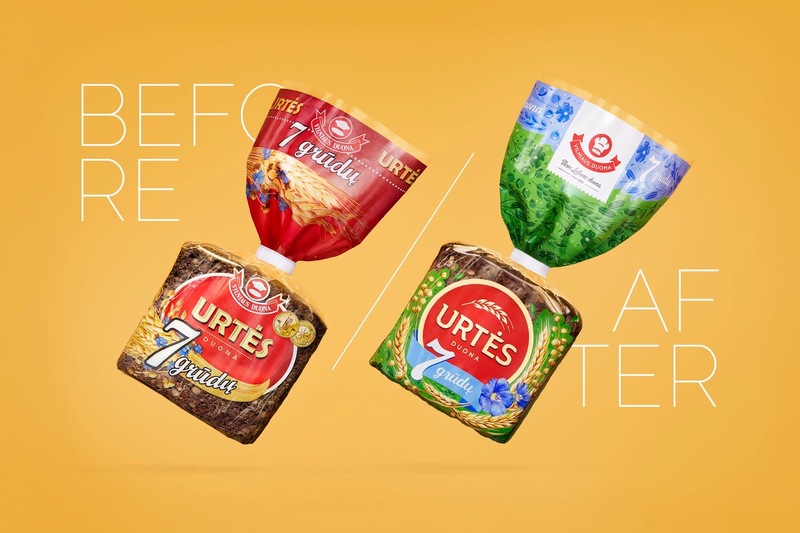 We have to keep the audience happy that values a traditional product, while making the presentation more vibrant by adding a bit of character as well as modern touch. To keep the brand recognisable, the yellow logo framed in red was renewed and reimagined. It has a contemporary twist because of its simplicity, at the same time paying tribute to the previous design. 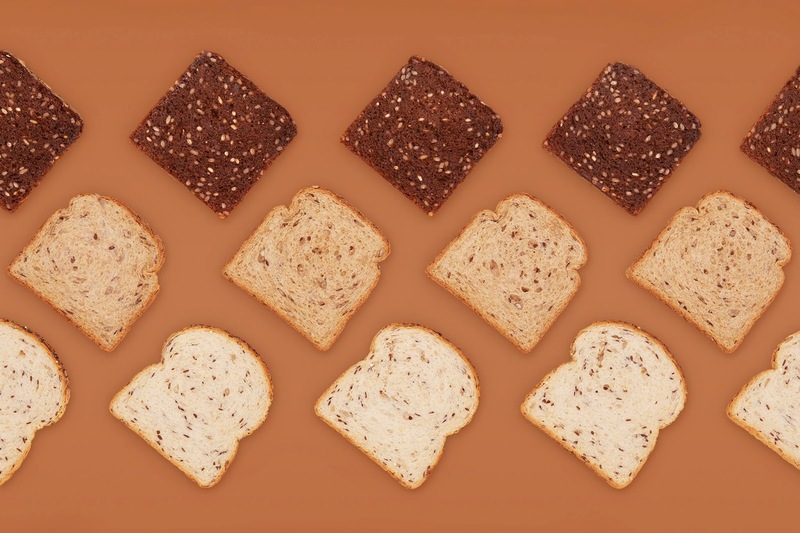 Realistic illustrations of seeds and grains represent the actual ingredients used for the specific bread. They also reflect the product's standout feature. Stylised illustrations in the background further accentuate the concept. 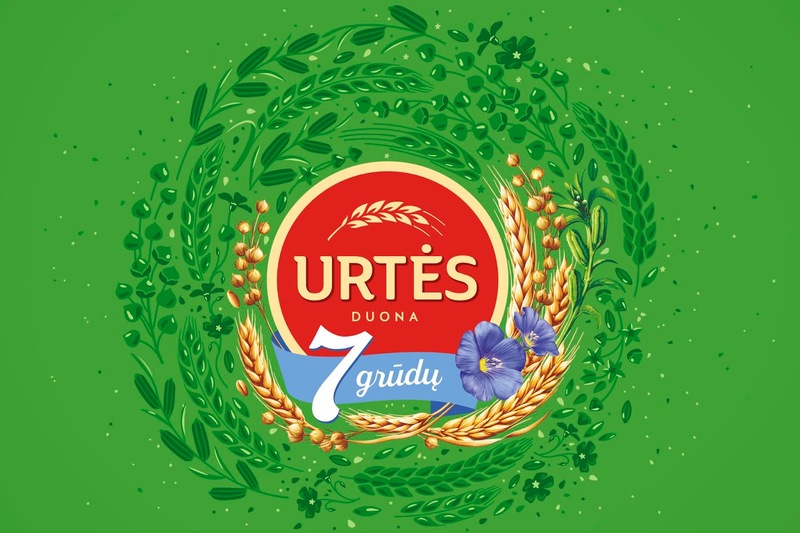 The whole composition encircles the logo while stressing the uniqueness of the brand and giving it character. A bright and uplifting colour scheme makes the design fresh and trendy. Furthermore, it attracts attention and makes the brand visible on the shelf. 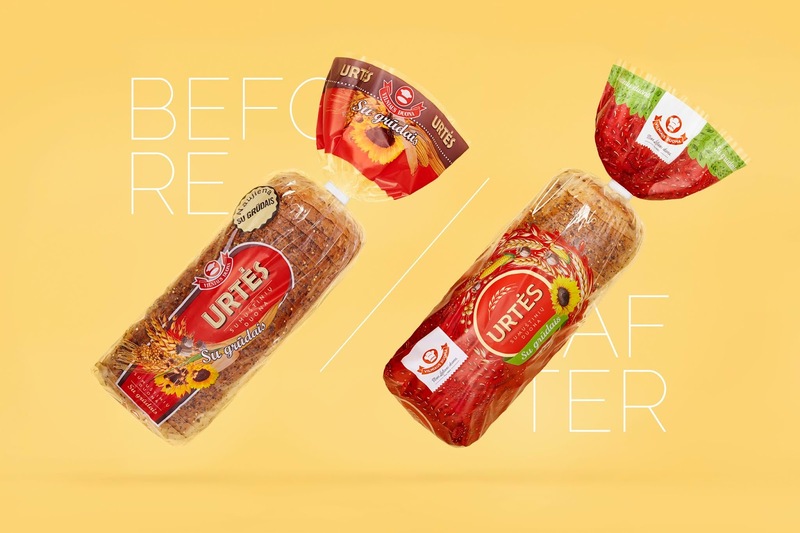 Realistic illustrations of seeds and grains represent the actual ingredients used for the specific bread. They also reflect the product's standout feature. Stylised illustrations in the background further accentuate the concept. 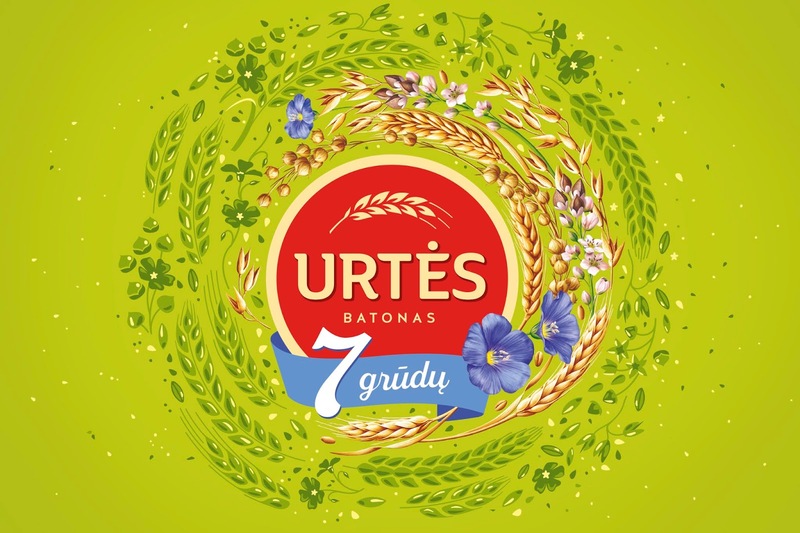 The whole composition encircles the logo while stressing the uniqueness of the brand and giving it character. A bright and uplifting colour scheme makes the design fresh and trendy. 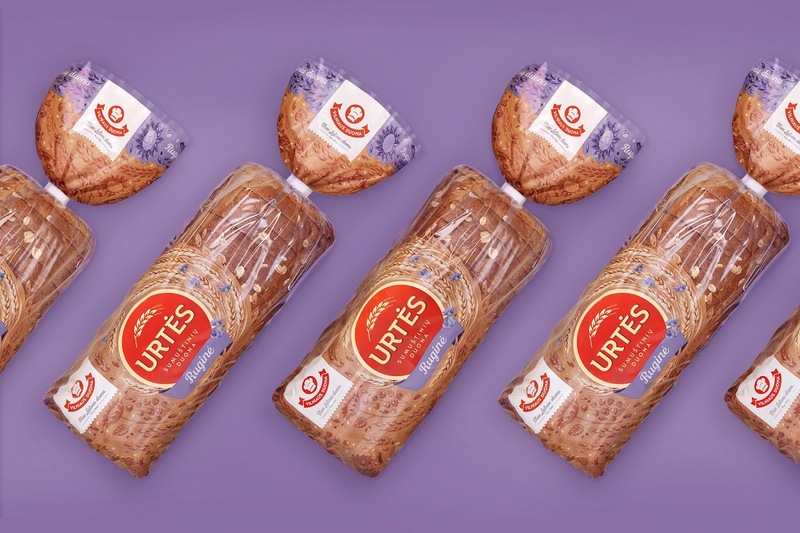 Furthermore, it attracts attention and makes the brand visible on the shelf.